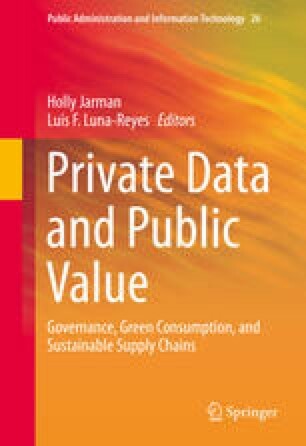 Privacy, confidentiality, and information security constitute basic requirements for the design and implementation of IT-enabled platforms for information sharing such as the I-Choose platform described in this book. In this chapter, we discuss privacy and security issues from an organizational perspective along three dimensions: ownership, access rights, and data quality. The challenge of protecting the confidentiality and privacy of data lies in developing effective and transparent security policies and protocols that govern access to and integrity of both proprietary and public information. Our findings highlight that these challenges stem from the complexity of the information chain and the heterogeneity of stakeholders and data sources in the sustainable coffee supply chain. As a result, addressing these issues will require not only technologically sophisticated solutions but also creation of governance structures and adoption of appropriate business practices. In this chapter we propose five management and policy solutions for mitigating the privacy, confidentiality, and security challenges that confront successful implementation of I-Choose platform. Pahnila, S., Siponen, M., & Mahmood, A. (2007). Employees’ behavior towards IS security policy compliance. In 40th Annual Hawaii International Conference on System Sciences, 2007. HICSS 2007 (p. 156b). http://doi.org/10.1109/HICSS.2007.206.